We offer a 1 year warranty and treat our customers and animals with respect. Humane removal only. There are many East Aurora pest control companies, but most deal with extermination of insects. We deal strictly with wild animals, such as raccoon, skunk, opossum, and more. 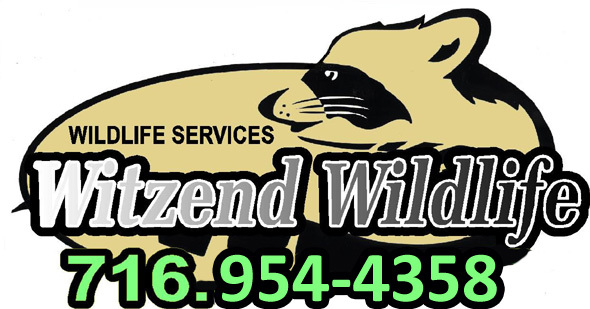 Witzend Wildlife Services differs from the average East Aurora exterminator business because we are licensed and insured experts, and deal only with animals. We are not merely trappers, but full-services nuisance wildlife control operators, offering advanced solutions. East Aurora wildlife species include raccoons, opossums, squirrels, rats, skunks several species of snakes and bats, and more. Many animals can cause considerable damage to a house, not to mention contamination. We offer repairs of animal entry points and biohazard cleanup and we guarantee our work. Our East Aurora rodent (rat and mouse) control is superior to other pest management companies. All of our wildlife trapping is done in a humane manner. Of course, we are properly New York state licensed. We are highly experienced in East Aurora raccoon removal, squirrel removal, bat control, and more. We at Witzend Wildlife Services believe we are the best East Aurora trappers of wildlife, and would be happy to serve your East Aurora bat removal or pigeon and bird control needs with a professional solution. Skunks, moles, and other animals that can damage your lawn - we trap them all. 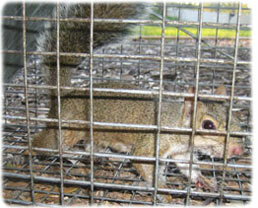 Our professional pest management of wildlife and animals can solve all of your East Aurora critter removal needs. Our specialty is removal of animals in homes such as raccoons in the attic or squirrels in the attic. If you need East Aurora pigeon control, Canada geese or other bird removal, we can help. We are experts with skunk problems, digging animals such as armadillos, & groundhogs, and we offer New York dead animal removal. We trap mice and voles. We do home repairs, animal prevention, and removal of critters from the attic, ceiling, basement, animal in the wall, and any part of a building. Give us a call at 716-954-4358 for a price quote and more information. 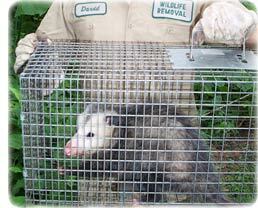 Remember, we at Witzend Wildlife Services run a wildlife removal company, and charge for our services. If you are searching for help with a dog or cat issue, you need to call your local Erie County animal control or SPCA. They can assist you with problems such as a dangerous dog, stray cats, lost pets, etc. There is no free service in Erie County that provides assistance with wild animals. One sad fact about wildlife is that sometimes, a mother squirrel will leave her litter. Mom squirrels leave their young during the first six weeks after birth. No one knows for sure why mom squirrels leave their babies before they become 8 weeks old, which is considered the time when a young squirrel can become independent. So, don't be surprised when you find a squirrel nest in your attic being unattended. The chances are in that case that a mother squirrel has left her litter. In this article, we will tell you what to do in case you find orphaned baby squirrels. When you find an orphaned baby squirrel wandering about, the first thing you should do is to try to reunite it with its mom. To do this, you should build a nest from small cardboard boxes that is up to 12 inches deep. When you create the squirrel nest, put an orphaned baby squirrel carefully in it and cover it with leaves. When you do this step, climb upon a tree with your nest and put it up there. When you put the nest up a tree, call the mom using a squirrel hunting call. You can get one online for under $5. In case the mom squirrel didn't appear when you called her to pick her babies up on a tree, you should know that you must take the care of the baby squirrels. First of all, you should get the baby squirrels warm. You can achieve this with the help of an electric blanket or a heating pad. Put the blanket or heating pad on low to medium. Place the container only on half of the pad. The temperature baby squirrels need is 99 degrees Fahrenheit. Make sure to check often that baby squirrels or the heater doesn't get too hot. It is a must for you to call a wildlife rehabilitator once you find an orphaned baby squirrel. We say this because it is illegal to take care of a baby squirrel yourself for a long time. So, consider calling your local animal shelters, local vets, and other wildlife groups that can take care of orphaned baby squirrels. You can easily find local squirrel rehabilitators on the Web. No current news article at this time. If you need East Aurora raccoon removal, rat trapping, squirrel removal, or have any questions about a wildlife problem in East Aurora, please give Witzend Wildlife Services a call at 716-954-4358, and we will listen to your problem, give you a price quote, and schedule an appointment, usually same day or next day, to solve the problem.